"- 180p Large format paperback. Society for Army Historical Research . 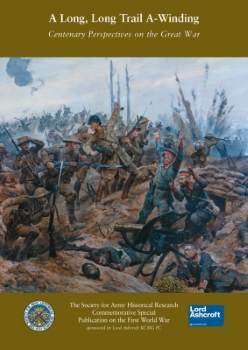 9 essays on the British army in WWI. Inc The Mad Minute; British Defence in March 1918; VC actions; etc "